Tool steels are used for hot and cold forming and for cutting of materials, particularly other metals, wood or polymers. This presumes that their strength and hardness must exceed that of the materials being cut or shaped. 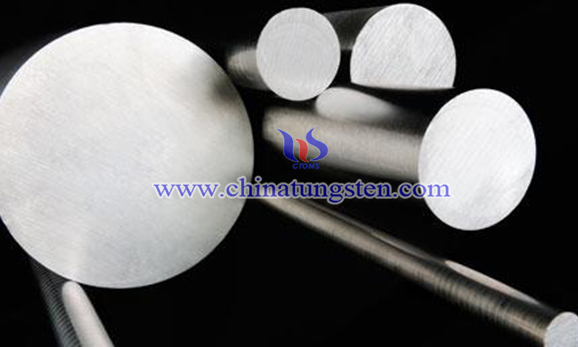 Tool steels are usually classified into four groups, including high speed steels with W content of 1.5 to 20%, hot work steels with 1.5 to 18% W, cold work steels with 0.5 to 3 wt% W and plastic mould steels, with W content of ~1%. In the middle of the 19th century tungsten was introduced to technical applications, mainly in steel production. 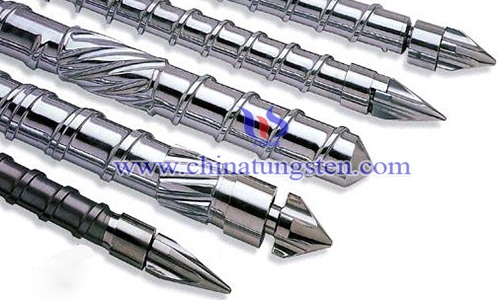 From then until the first quarter of the 20th century, its importance in this field steadily rose and steel became the biggest tungsten consumer. This important and large segment (in particular in terms of tonnages) includes tools for road planning, soil stabilization, asphalt reclamation, vertical and horizontal drilling (rock-, oil and gas), tunnel boring, surface mining, and others. For these applications, impact resistance, abrasion resistance and high fracture toughness are required. 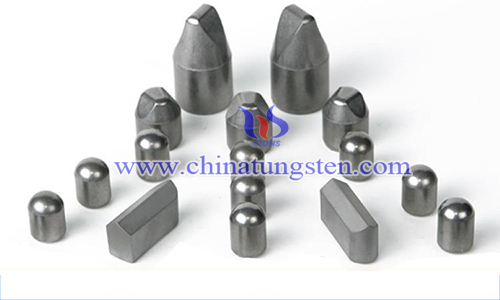 Commonly, such cemented carbide grades exhibit coarse WC grain (up to 20μm) and 6 to 10 wt % Co. To minimize wear on the steel holder of the cemented carbide part during application, WC-based hardfacings are used for wear protection. 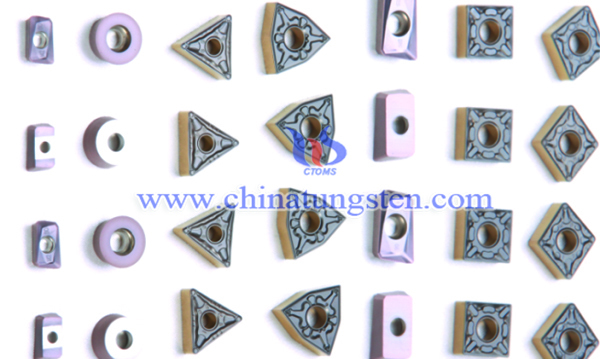 Cemented carbide wear parts are used in wire and section drawing, cold and hot rolling, stone-working, working of wood and plastics, in the textile, magnetic tape and paper industries, in the food and medical industries, the glass industry, for stamping and punch drawing and a large number of structural components, including plungers, boring bars, compacting dies and punches, high pressure dies and punches, seal rings, pulverizing hammers, needles, carbide feed rolls, chuck jaws, and others. The history of cemented carbides is the history of a steadily widening range of available tungsten carbide grain sizes for processing. 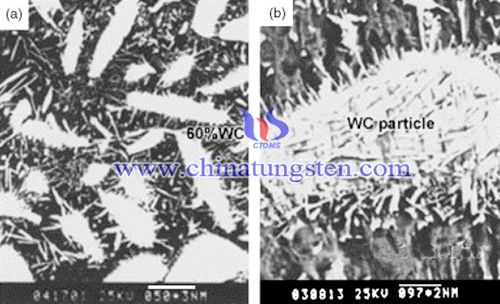 The main reason for this widening of the spectrum of WC grades is that besides those variations achieved by the cobalt content, the properties, such as hardness, toughness, strength, wear resistance, modulus of elasticity, etc can be widely varied by means of the WC grain size. 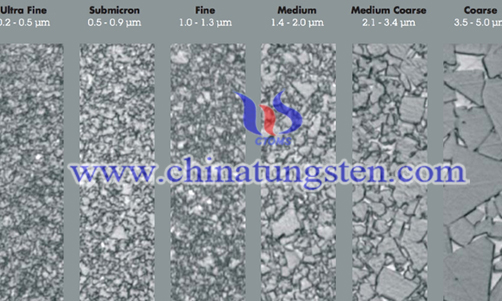 The finer the cemented carbide, the harder is the material, and contraiwise. 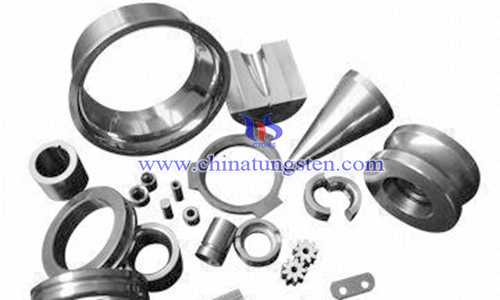 Cemented carbides are produced by Powder Metallurgy (PM). The respective powders (WC, Co, but also other metallic carbides or carbonitrides as well as Fe and Ni) are at first ball milled or attritor milled to form a powder mix. Then, a part is formed by different shaping technologies. High purity tungsten trioxide nanopowder may be used as a photocatalyst. High purity yellow tungsten oxide nanopowder, also called high purity tungsten trioxide nanopowder, can be applied as a semiconductor gas sensor. Tungsten trioxide nanopowder may be applied in the field of photocatalysis. Photocatalytic technology is a technology that can effectively remove highly toxic, low concentrated and unmanageable pollutants by only using solar energy without causing bad effects.